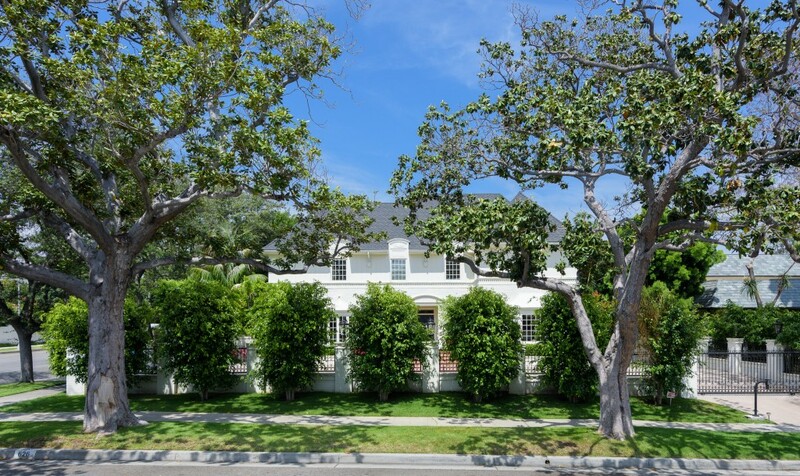 Stunning Traditional home in the heart of Beverly Hills Flats! Walled and gated with a circular driveway this stately home sits on a large corner lot close to 17,000 sf and has been impeccably maintained. 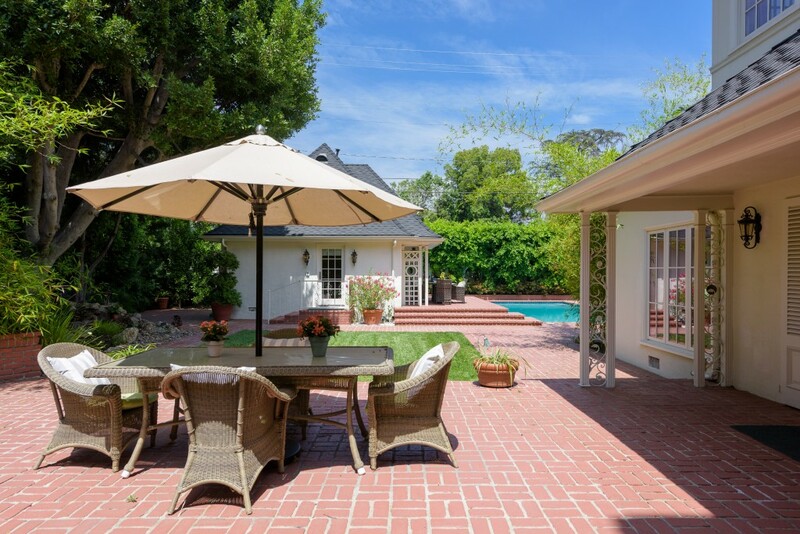 Extensively remodeled 2014 this exquisite 6 bedroom, 5500+ sf home stays true to its original character and classic details that make it so special. Gorgeous peg & groove hardwood floors, detailed crown molding, formal foyer with sweeping curved staircase, elegant living room with fireplace, large formal dining room, paneled library with French doors, spacious kitchen, butler's pantry, breakfast rm and two downstairs bedrooms. Second level offers a spacious master suite with 3 additional family bedrooms and baths. Fabulous lush backyard with tall surrounding trees & hedges, bamboo garden, koi pond, waterfall, large brick patio, grassy lawn, spa and gracious pool. Updated guest house (not included in square footage) with connected 3-car garage complete this magnificent package. An amazing offering not to be missed!